I'm participating in Babywearing Week hosted by Adventures in Babywearing. And who knows, maybe I'll win a new way to wear baby #3 from Nonny and Boo. It's so interesting how much the baby world changes from just one baby to the next. 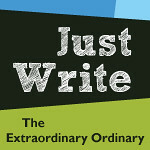 In just a few years, there are new products, new laws, different techniques, books etc. 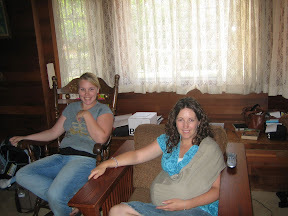 When I had Miss Rose I was super excited to get a Baby Bjorn at my shower. I definately got use out of it, although perhaps not as much as I had expected. Although it was comfortable enough, my back still would get sore after wearing it for a while. 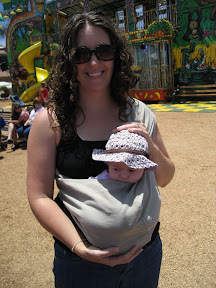 By the time I had Gracie just three years later, slings and babywearing were ALL the rage. I was pretty intrigued and wanted to try out this babywearing thing for myself. I found a New Native sling for about $15 at a baby resale. 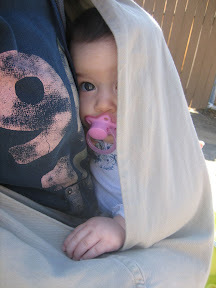 Not long after Gracie was born I made myself a Moby Wrap (only required cutting, no sewing!). I actually found the sling more comfortable for my back than the Bjorn was. I got SO much use out of these items. Gracie loved being in the sling. She was a kind of fussy newborn, but plop her in the sling and she was a happy camper. It was her favorite place to nap. For 6 months I was able to have her at work with me and she'd nap and hang in the sling most of the day while I was in meetings and working at my desk. 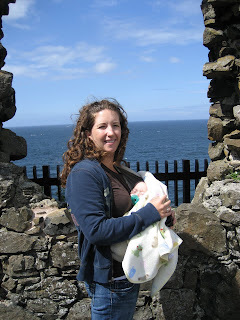 When Gracie was 2 months old I went on a missions trip to Ireland and of course she came along. 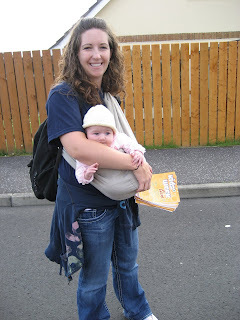 Again, she lived in the sling as we walked around neighborhoods flyering, doing ministry and of course sightseeing. Everyone was very facscinated by the sling and the moby wrap. I'm looking foward to using a sling again with this baby. It will give me free hands to wrangle the two kids who will be running around! I sure hope this baby loves the sling as much as Gracie did. Yes, I realize I'm wearing the same clothes basically, on two different days. It was a missions trip so I didn't bring a lot, and I was still losing baby weight--so not much fit!! Found a few more pic's to share. Not the one I was looking for, but oh well. I LOVE all of these photos!! Beautiful.